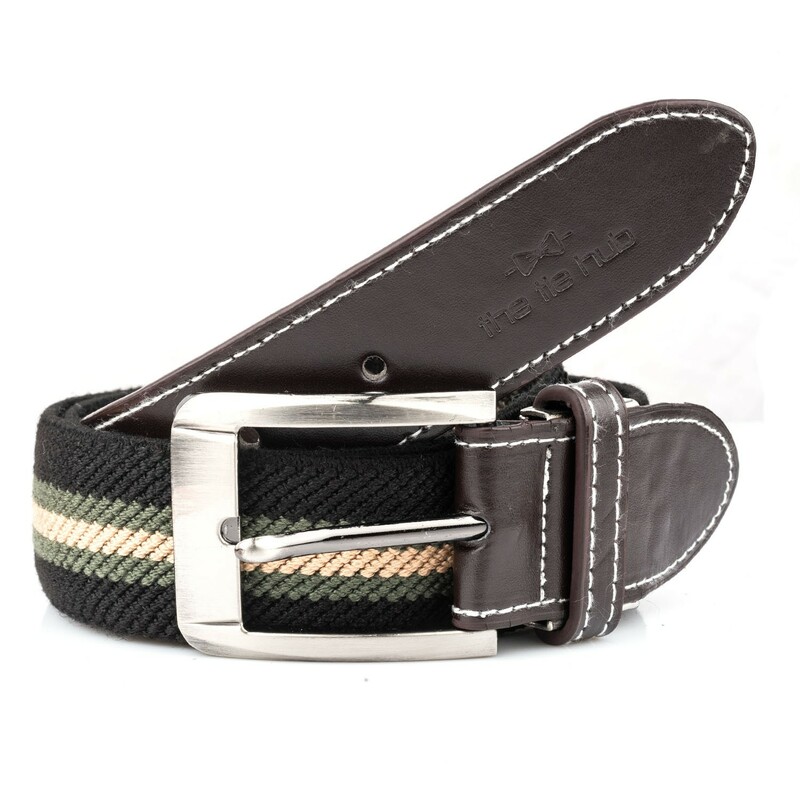 Elasticated belt has been woven in timelessly dapper Brown Trimmed in leather for a hard-wearing finish, it's an easy way to infuse your look with character and distinction. A sleek woven belt features an elasticised strap that stretches two to three inches to ensure a custom fit and comfortable everyday wear. 1 1/4" width. All Tie Hub belts stretch and require no confining pre-punched holes, allowing for a custom fit. Brushed nickel buckle. Rayon with leatherette.